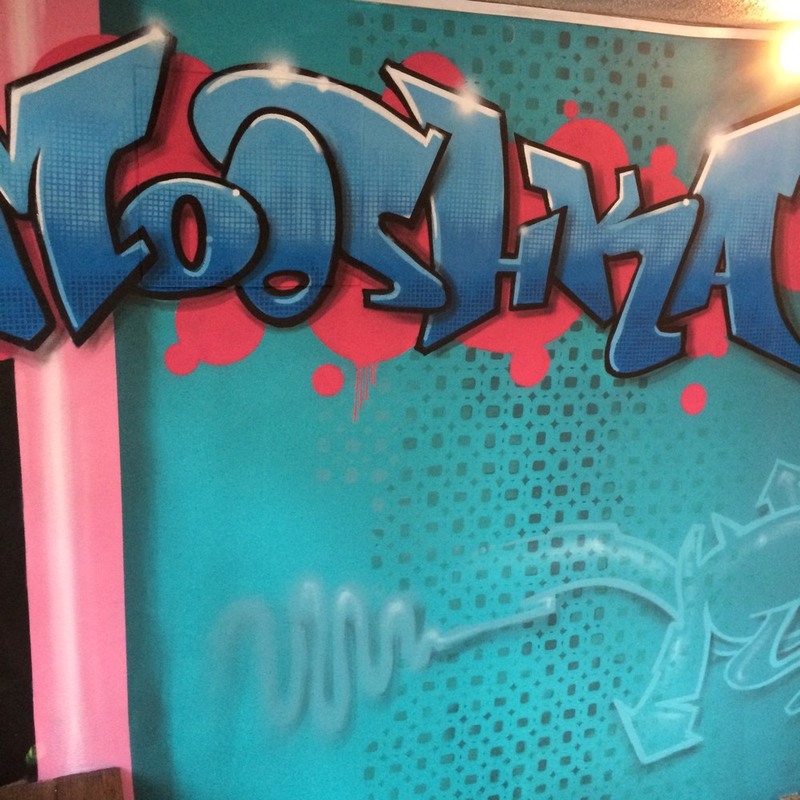 Mooshka was the first stop on the tour and the funky restaurant on the Sunshine Beach didn’t disappoint. Sauce had painted a mural at the restaurant five years ago, and he also created a logo for the business, which they are still using for their merchandise and branding. It was rainy and cold for the two days Sauce stayed on the Sunshine Coast, but this didn’t hamper his efforts since the area was under-cover. Sauce was well looked after with the restaurant serving tasty pizza and Stone and Wood on tap. He even scored a snapback!